Anyone ever built an amp? just ordered myself a build your own amp kit! 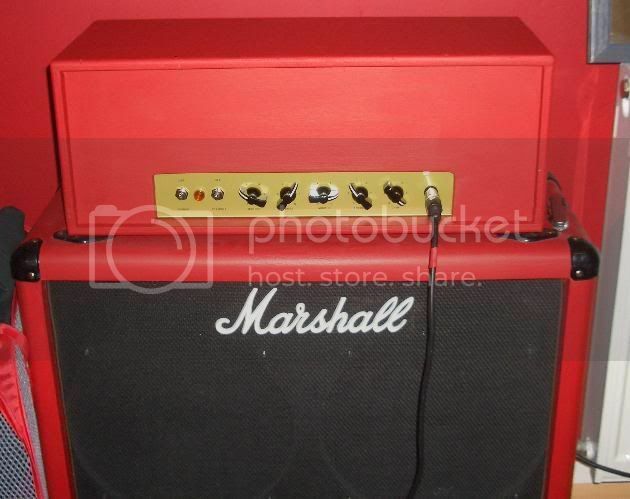 a marshall plexi clone. looks not bad and i will probably put a few extras in to it! anyone else ever done one of these? Yup, I built a little 5w Class A head. Was that from a kit? how did you find it and how long did it take you? Not one of those, but I built a Fender tweed deluxe and a 59 bassman knock-off that I wired with a marshall power section, rather than 6L6's. It's a pretty killer amp. yeah i built an 18watt amp using a kit from Amp Maker - Guitar amp kits and valve / tube amplifier components. took me 3 days of full-on-solid-do-nothing-else electrical geekery to finish it. i built the 2x12 open back cab about a year later, real nice amp sounding amp although i rarely use it!! Where did you get the kit from? and is all you need basic soldering capabilities and the instructions? glad i'm not the only one!! i never apreciated master volume, twin footswitchable channels, high and low tone controls until i built mine! !